We’re caught in a flurry of Instagram-perfect designs, Pinterest boards of ideas and magazine pages of pretty color schemes, but it’s important to remember that your space doesn’t have to be perfect. Little Rock Family Editor Alexis Crowe (left) with her younger sister, Anica. I distinctly remember getting to help decorate one of my early childhood bedrooms. 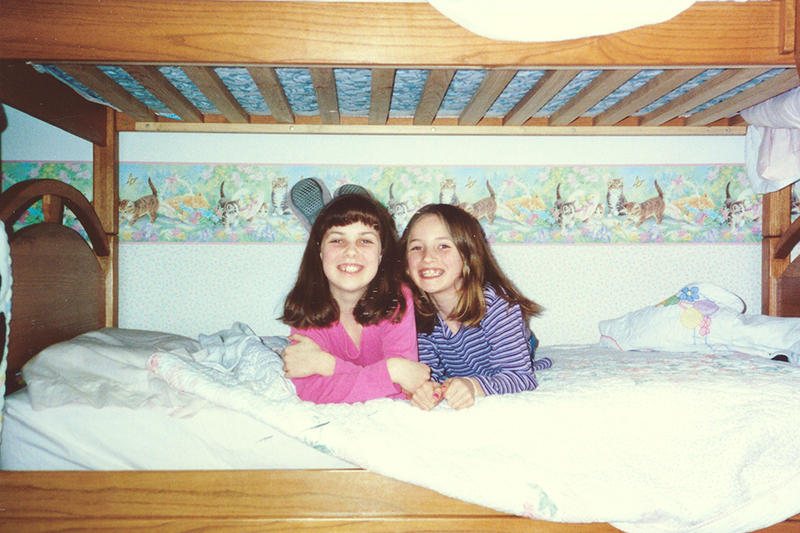 We had moved to a new house and my younger sister, Anica, and I were getting bunk beds in a cozy little bedroom that looked out over our front yard. Being the girly girls that we were, pink was a must. The bottom quarter or so of our walls was covered with floral patterned wallpaper and above that was a wallpaper border of kittens playing together in a garden. We also got to hang up bulletin boards that we carefully labeled with decorated foam letters at the top and then covered with photos, notes and drawings. Our quilts were — surprise, surprise — also pink and floral. And the rug? Also pink. But the best part of that room was simply that we got to have a role in the decorating. It was so exciting to flip through wallpaper choices, hang pictures on the walls and have a space to call our own. In this issue, we’re focusing on interior design and creating inviting, kid-friendly rooms. We’re featuring a playroom, two nurseries, and, much to my 7-year-old heart’s delight, a perfectly pink bedroom. I can promise you that my childhood bedroom would not have won any design or decor awards, but in my mind it was the best bedroom ever. So while I hope these designs inspire you to think outside the box and provide inspiration for your own home, I also encourage you to not get too caught up in the details. Let your kids play a role in the design, splurge on a statement piece of art and save on a thrifted accent table. Combine practical and pretty to create a space that’s uniquely yours. And if you do have an adorable space you want to share, we’d love to see it. Tag @LRFamily in your Instagram posts and we’ll be sure to check it out and maybe even share it on our own page.